Last Saturday, September 5, 2015, a pair of touring cyclists stopped by the Century Cycles store in Peninsula. They told us they had caught a ride to Cleveland from a friend, and were riding the Ohio to Erie Trail back to their home in Dayton. 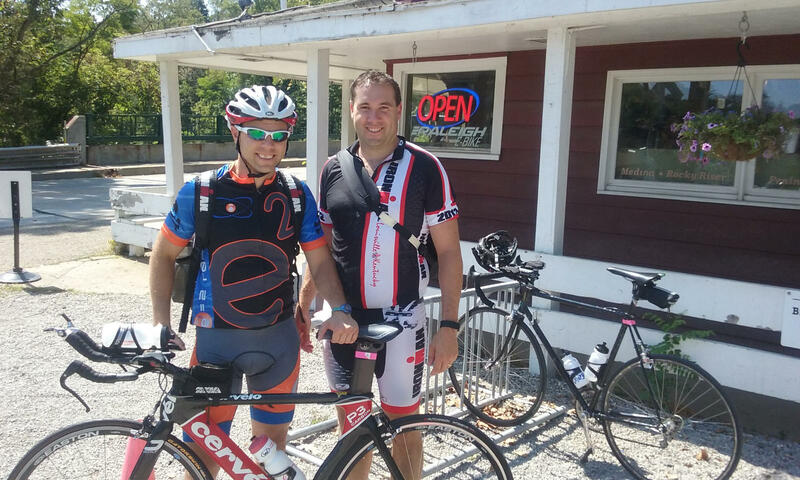 They should be home by now; hope you had a great time on the ride, Steven and Sean!